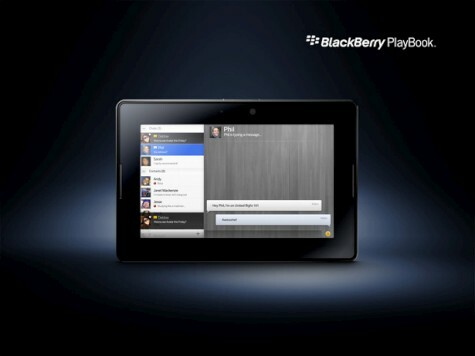 The BlackBerry Playbook, RIM’s answer to the iPad and Samsung Galaxy Tab tablets is looking like a must-have purchase for the BlackBerry-wielding business man about town. That must-have purchase just got all the more attractive too as it has today been revealed that the Playbook will be very affordable indeed. Speaking of the device in Seoul today, RIM Co-CEO Jim Balsillie announced that the tablet would be “very competitively priced”, costing no more than $500 for US customers. As a direct conversion into UK pounds, that’s somwhere around £310. If the price stays that way come the February 2011 launch, you’ll be getting a lot of tablet for your money. A 7-inch device with 1024 x 600 WSVGA, multi-touch capacitive screen , it packs in a 1 GHz dual-core processor and 1GB RAM. It also boasts 3-MP front facing and 5-MP rear facing cameras, sorely missing from the iPad, as well as support for 1080p HD video recording. Balsillie was bullish in response to claims RIM are now a step behind the competition in the tablet stakes after failing to get a unit out before the Christmas rush. Despite facing stiff rivalry from Apple, Samsung, Acer and others, the RIM head honcho insisted that the playing field will “change when we’re in the market”.